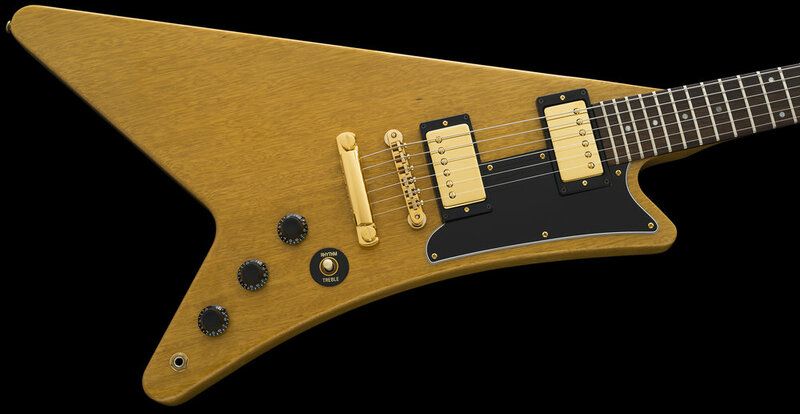 The Moderne as it was named, was designed in 1957 alongside the other “modernistic" guitars that Gibson planned to introduce for the 1958 production year, which included the Flying V and Explorer models. 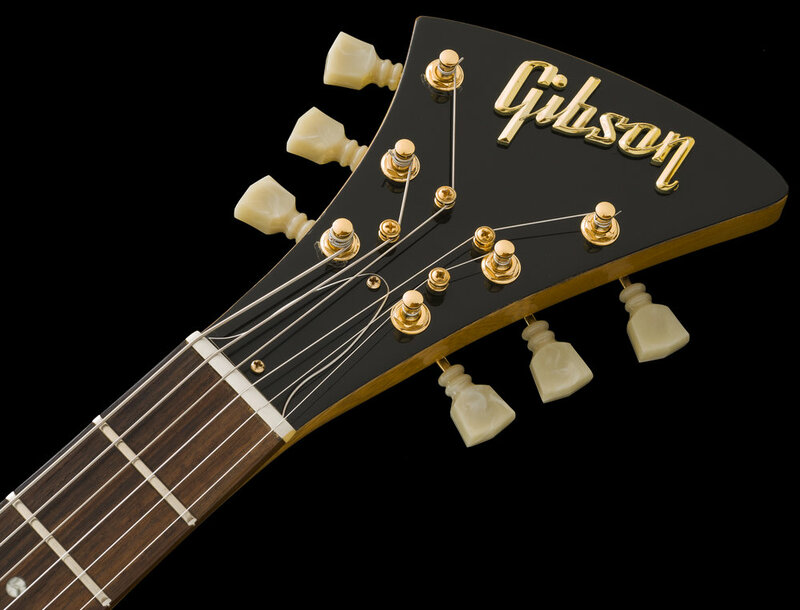 It is commonly believed that the Gibson execs deemed the Moderne to be a bit “too” radical and decided not to build this model and removed it from the production queue at that time. The Moderne was not officially put into production until 1982; subsequently, I feel that it is not correct to consider these Heritage models as “reissues” as NO originals were ever issued, photographed or seen by the public. 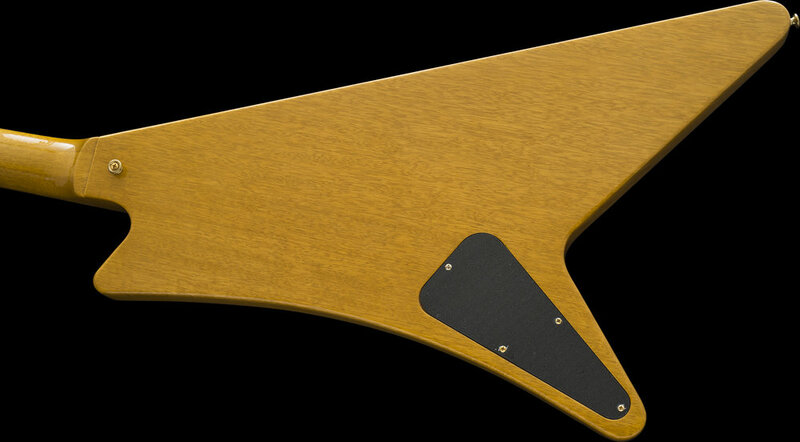 These are the 1st production Moderne guitars! 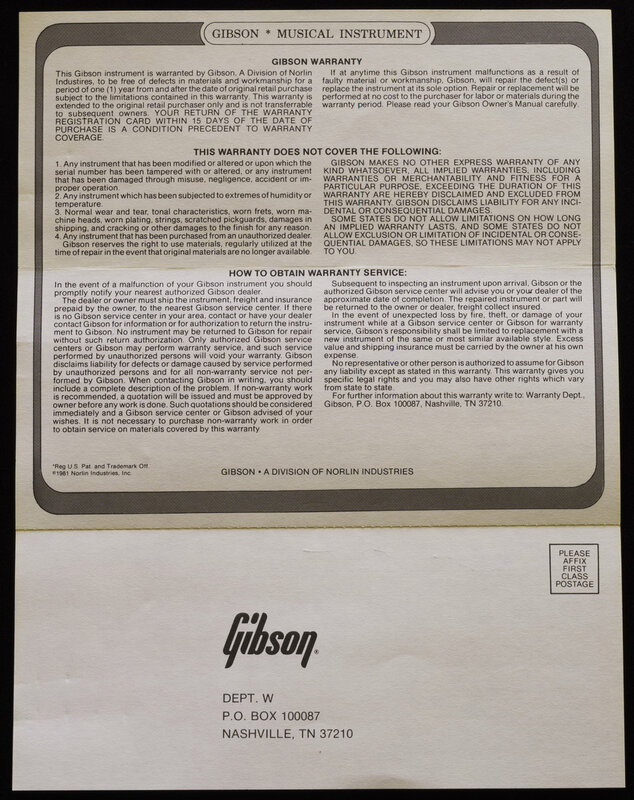 Among long-time Korina collectors, myself included, it is commonly believed that Gibson either never built a Moderne and killed it before it got off the drawing board, or possibly constructed a prototype to discuss at internal company meetings and destroyed that lone example, hence the quest for the elusive Moderne usually makes for interesting and lively conversation. I have examined, tested, serviced and set-up this instrument and found it to be 100% factory-correct and unmolested. 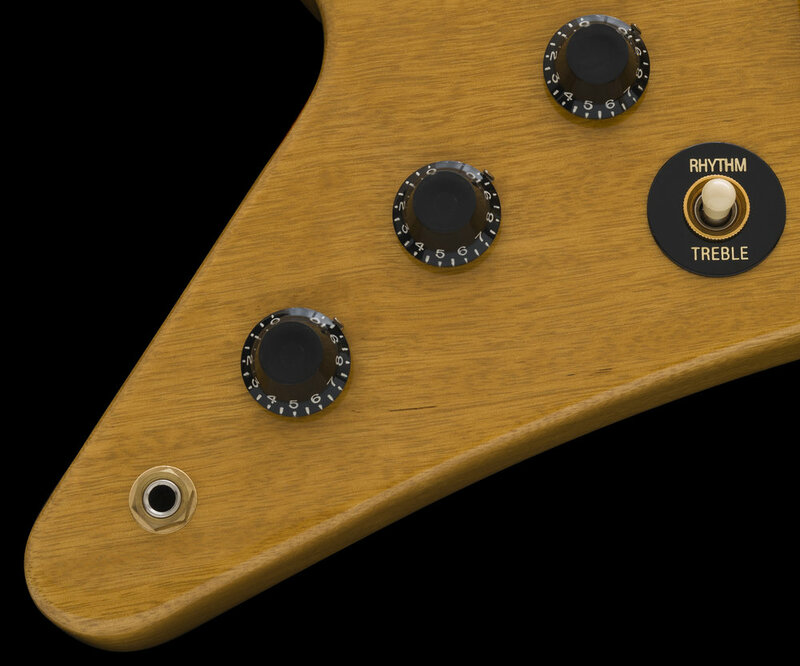 The 2 Volume Potentiometers are dated the 28th week of 1982, and the single Tone Pot dates from 1980, all are correct and factory original. The guitar has the appearance of having NOT been played beyond some gentle testing. The factory protective plastic is still in place on the rear control plate cover, which I have included in the photos. All of the GOLD plated hardware is superb and appears New! 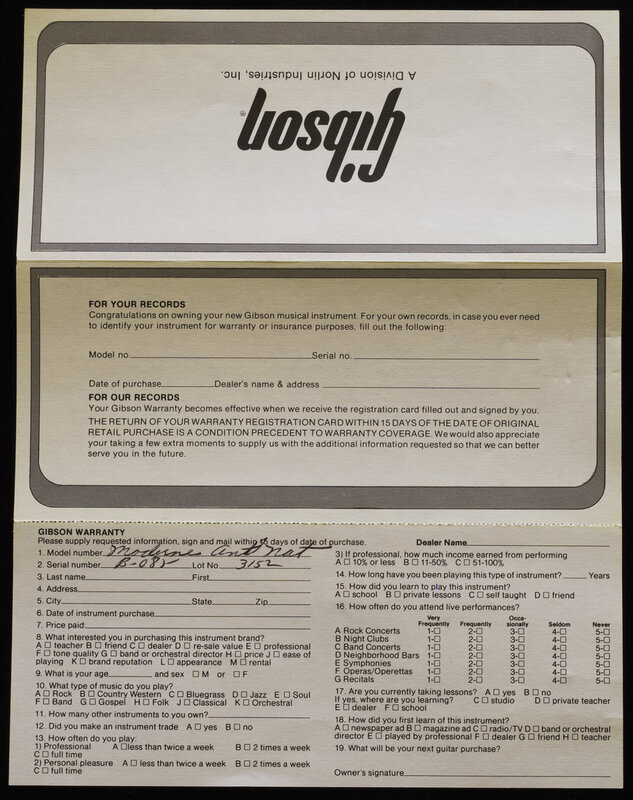 The guitar has some Tags and Paperwork, including the Factory Warranty Card and although hard to believe and seldom seen, the factory tissue wrapping paper is still in the case too! The CASE is correct and original, and except for some very minor cosmetic marks and a few tiny rips, it only exhibits evidence of having been stored and moved occasionally, but it is in excellent, matching condition. The guitar has just been set up using a set of D'addario XL, 10 - 46 gauge strings. 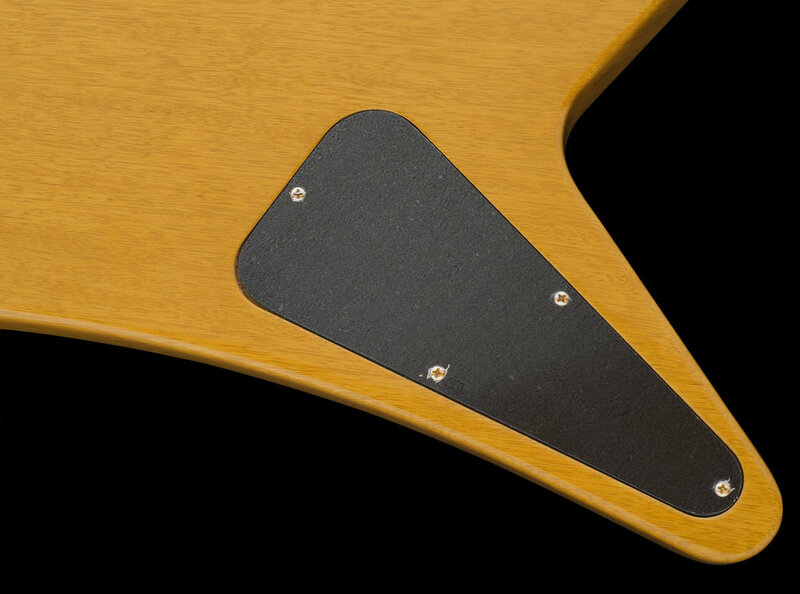 One of the reasons that I chose to hold onto this guitar was, after examining other Korina Moderne guitars, I rarely found examples with such perfectly book-matched, tight grained, 2-piece center seam bodies. The construction of this particular example is FAR more beautiful to me, most of these guitars appear to have been made from 2 pieces of "mismatched" wood, and some are 3 pieces! I have included a photo of the "crotch area" to show the body seam. 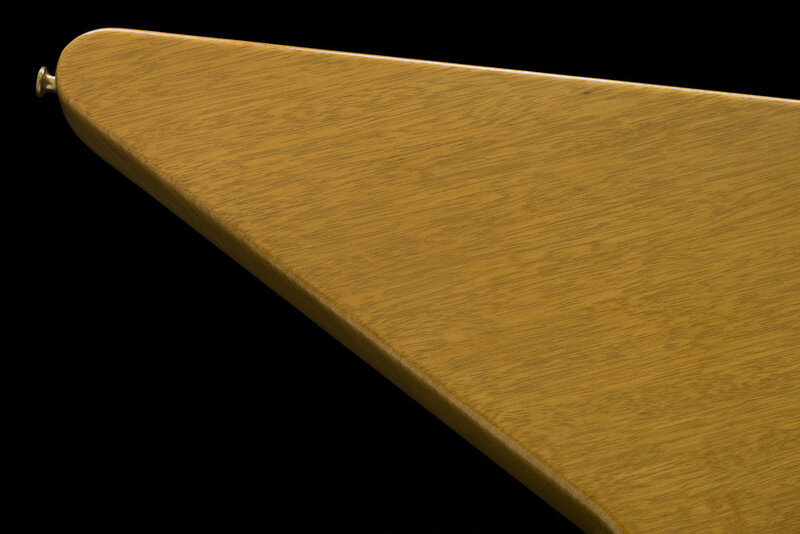 When viewing this guitar from the Front or Back, the nicely matched body has the appearance that it was made from a single piece of wood. 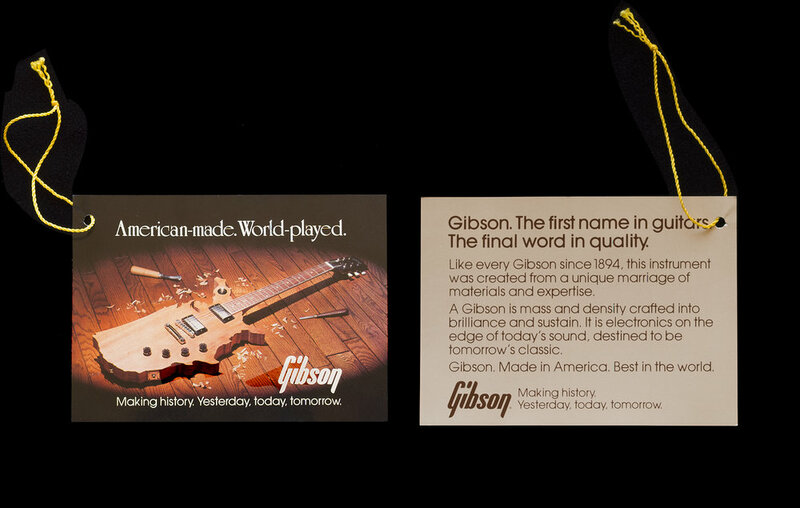 Based on my decades of experience, it is my feeling that Gibson had started out with high quality and nice looking Korina wood, which went into making the early 1st and possibly 2nd-year model Modernistic instruments. The subsequent runs of Heritage series Korina guitars suffered as Gibson's Korina wood supply dwindled and forced them to use anything they had on hand to make their model production quotas, and due to the lower quality wood, there was also a necessity to Paint or cover some of them up. This guitar is now 36 years old and has been in my collection since purchasing it more than 25 years ago. It has been spared all of the "circulation" that most vintage instruments being offered online today have undergone. 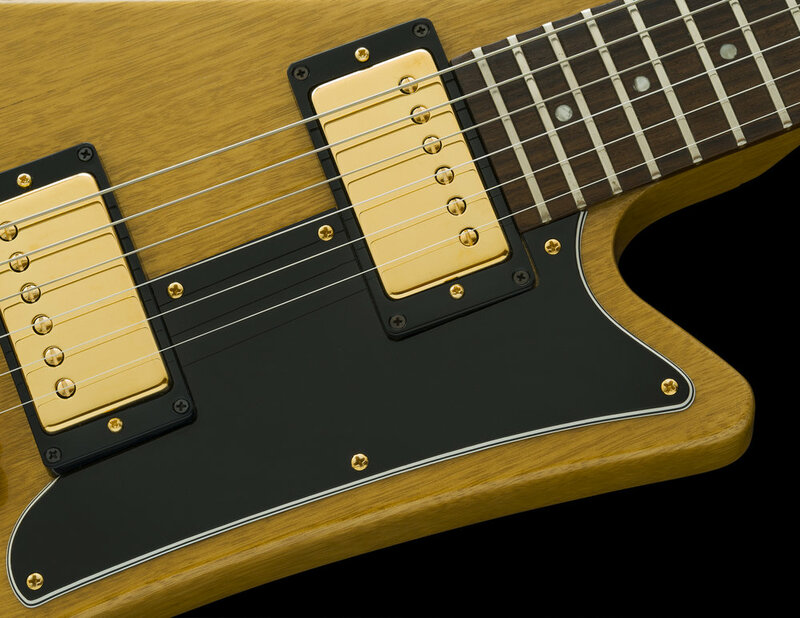 Not only is this guitar in pristine, well-preserved collector condition, it's also one of the NICEST LOOKING Moderne guitars that I have ever seen due to both the preserved condition and overall beauty of this particular WOOD! 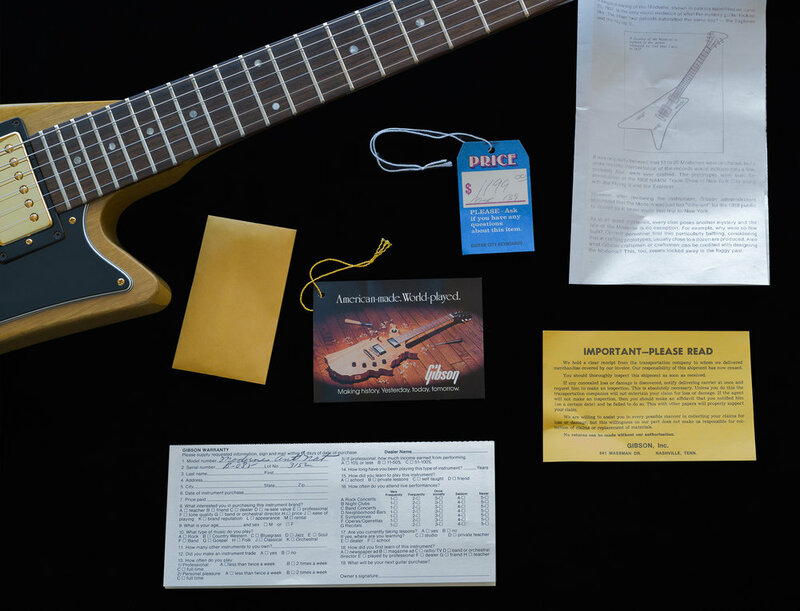 It is RARE to find such a crisp and stunning "time-capsule" example of what was a VERY Limited Edition guitar. 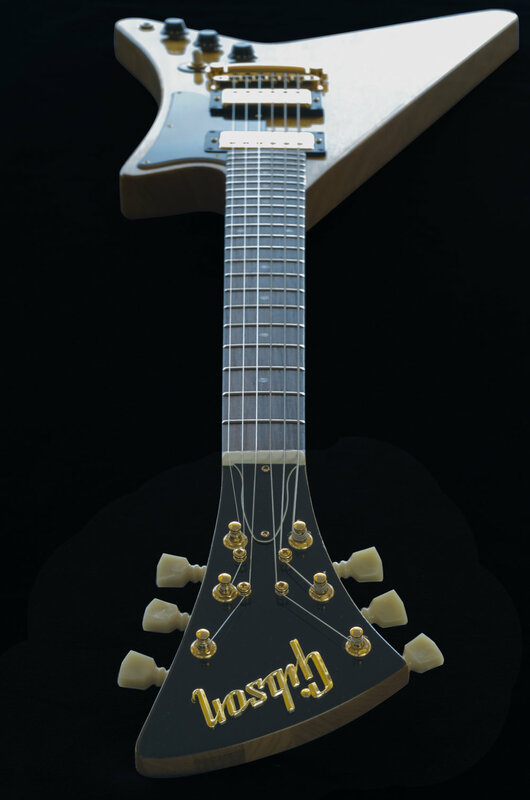 If like me you are enamored with and collect Modernistic guitars, kindly inquire.